Apple CEO Tim Cook became richer by over $57 million in a jiffy when he sold shares given to him as the company's market cap earlier this month exceeded $1 trillion for the first time. According to a US regulatory filing, Cook sold 2,65,000 Apple shares worth $121 million, Business Insider reported late on Wednesday. Nearly $64 million of the share options were withheld for tax reasons and Cook took home over $57 million. The stock awards were in addition to his salary and bonus scheme. Cook earned $12.8 million last year -- $3 million as base salary and a $9.3 million cash bonus, rising 46 per cent. 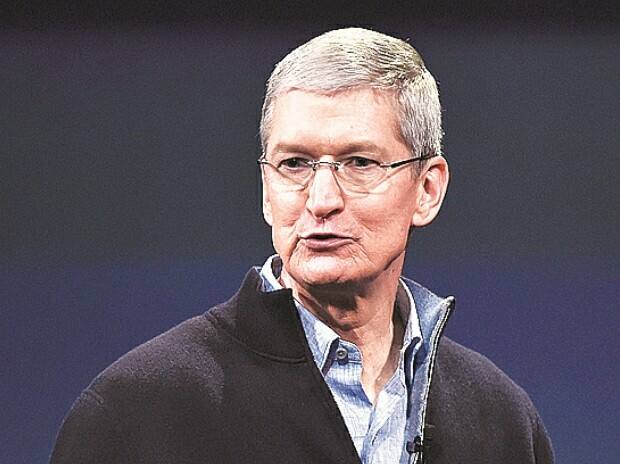 "Cook's net worth is estimated to be $625 million," the report said. Earlier this month, Apple became America's first publicly-traded company to hit the $1-trillion milestone. Apple, maker of the iPhone, iPad and other devices, said its fiscal 2018 third quarter revenue stood at $53.3 billion, up 17 per cent from the same period last year. The company is reportedly introducing at least three new iPhone models next month which may include a considerably larger version of the iPhone X and a less expensive version.